If you’re looking for something sophisticated, but a little different for your dining area, the Sunpan Haven Dining chair is an ideal choice. With sleek, graceful curves and beautiful modern artistry, this chair will add an elegant touch to any contemporary dining space. The Haven features a solid wood frame to ensure a look that will last. Ample cushioning provides supreme comfort through dinners with friends or family game nights, while a matte black leg finish offers a touch of classic sophistication. 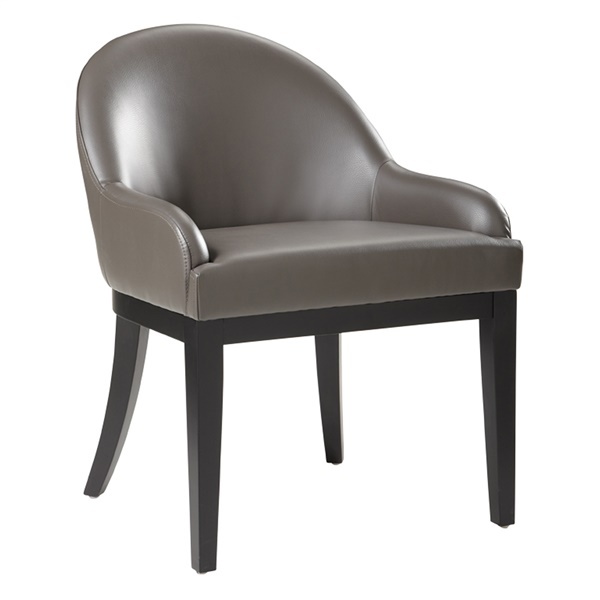 The Haven is upholstered in bonded leather for a supple and decadent look and feel. The upholstery comes in your choice of stylish colors, for a look that perfectly suits your taste and your dining décor.